Providing you the best range of foam sheets, epe foam sheet and polyethylene foam sheet with effective & timely delivery. We have uniquely positioned ourselves as a dependable firm, engaged in manufacturing, trading and supplying a commendable array of Foam Sheets. This foam sheet is acceptable in the markets, owing to features like enhanced durability & quality. Our foam sheet is manufactured from the superb quality of material & modern techniques in accordance with the set standard. 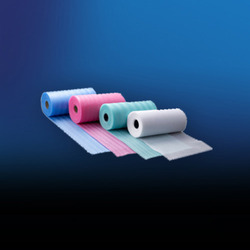 We provide this foam sheet after complete check so as to supply a perfect range to customers. Size 35" x 72" , 47" x 72" , 2 mtr. x 1.4 mtr. We manufacture a wide range of EPE Foam Sheet for use in packaging products, which is available in various sizes and qualities. 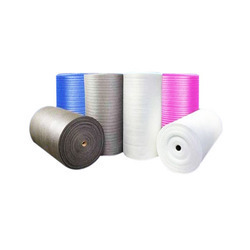 Our organization holds expertise in providing latest technology based Polyethylene Foam Sheet. Offered foam sheet is manufactured employing contemporary techniques and factory-tested material in observance with the set norms. 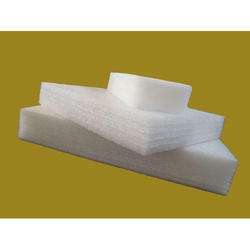 Moreover, our foam sheet is used for carry bag handles & for filling empty space in construction joints. Our renowned clientele can avail this foam sheet from us in a given time frame at reasonable rates.